You probably know what chess is. If you do, you most likely know how chess pieces move and which pieces are worth what. 1. Pawn is the weakest piece on the chess board, it worth one point (1 point = 1 pawn). 2. 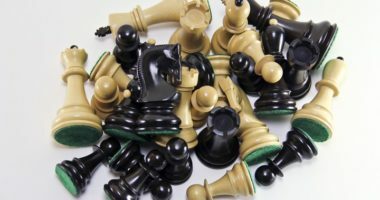 Pawn is the only chess piece that can promote to any other piece once it reaches the 8th rank (or 1st for black). 3. Once a pawn reaches 6-7 rank (or 2-3 for black) it worth as much as a rook. 4. Doubled pawns are weaker than connected pawns since they cannot protect each other. 5. Pawn which doesn’t have any opponent’s pawns on its way is called a past pawn. 6. Once a pawn becomes past it gains value. 7. “Passed pawns must be pushed”. 8. Central pawns are considered to be more valuable than pawns on the edge since they occupy/control central squares: e4-e5-d3-d5 which play significant role in chess strategy. 9. Isolated pawns are usually weaker in the endgame than in the middle game. 10. The strongest pawn structure is all pawns connected together. 11. If a pawn does not control (and cannot control) a square, that square is called weak square. 12. Pawns cannot go backwards, so when making pawn moves it needs to be taken into consideration in order to avoid creation of weak squares, which can be used by the opponent’s pieces as outposts. 1. Knight is a minor, short range chess piece which is worth 3 points (or 3 pawns). 2. Knight is a very special chess piece since it’s the only piece that can jump over other pieces. 3. Check by the Knight cannot be interposed by any other piece, the King can move away or the Knight can be taken to stop the check (if it’s possible). 4. Knight is a very powerful piece due to its ability to ‘fork’ opponent’s pieces. 5. Knight’s fork on King and Queen is known as ‘Royal Fork’. 6. The best position for the Knight on the chessboard is at the center. There Knight can control the maximum amount of squares: 8. 7. In a blitz game knight worse as much as the rook due to its ability to fork pieces. 8. Knights are considered to be strong in the closed positions, where pawn structure does not allow much movement over the files and diagonals. 9. Knights are considered to be weak on the open board with many open files and diagonals. 10. It is not possible to force a checkmate of a lone King with 2 Knights + King. 1. Bishop is a minor, long range piece which is worth 3 points (3 pawns). 2. The best position for the Bishops is on the open long diagonals, that way the Bishop can cover many squares. 3. Bishop pair is a very powerful weapon since two bishops working together can control many squares from the distance, creating possibilities for tactics and attacks. 4. Bishops are very useful at pinning opponent’s pieces. 5. In open position Bishops are more powerful than Knights, in closed positions Knights are stronger. 6. Always think twice before exchanging a Bishop for a Knight since a pair of Bishops is much stronger than a Bishop and a Knight (usually). 8. Queen + Knight is usually a better pair than Queen + Bishop in the endgame. 9. In the endgame with pawns on both sides of the board Bishop is a stronger piece than the Knight, since it can attack and support pawns on opposite sides of the board. 10. It is possible to checkmate a lone King with a Bishop and Knight + King. 1. Rook is a chess piece which is worth 5 points (5 pawns). 2. Rook is a very powerful piece when it occupies an open file. 3. 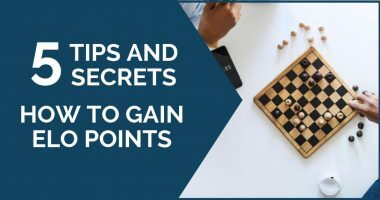 Therefore, it is very important to put the rook on the open file, by doing so you will control many squares and create possibilities for further advances of pieces into opponent’s territory. 4. Pair of Rooks lined up on an open file is even more powerful than a single rook occupying the file. The one rook can advance to opponent’s territory while the other one supports it. 5. Rooks are very powerful on 7th rank (or 2nd rank for Black) since they can easily attack opponent’s pawns. 6. Rooks are very good at given a back rank mate on the 8th rank (or 1st for Black). 7. Rooks are also good at protecting the 8th rank (or 1st for White) from getting back rank mated by opponent’s Rooks. 8. Two rooks can easily checkmate a lone King. Therefore, 2 Rooks vs. King is an easy technical win. 9. It is possible to checkmate a lone King with a Rook + King. 10. Rooks are usually not active in the opening and early middle game, but they are crucial endgame players. 1. Queen is the most powerful attacking piece which is worth 9 point (9 pawns). 2. It is the most powerful piece on the board since it can move both diagonally and horizontally. 3. Even though Queen is the most powerful chess piece, don’t hurry getting it into the game, since opponent may try to attack it and develop its own pieces gaining tempos. 4. Even though the Queen is an attacking piece you need to be careful so it doesn’t get trapped and captured, since losing a Queen with no compensation is a huge fiasco and almost automatically means lost game. 5. Queen’s another very important property is that it can perpetual check opponent’s King and draw a game (for example if you are behind in material and will lose otherwise). 6. Queen is also very powerful mating piece; most checkmates in chess are being announced by the Queen. 7. Even though a Queen a lot stronger than the Rook (9 points vs. 5) the endgame Queen vs. Rook is not as easy to win as it seems. 8. If you have a chance of exchanging a Queen on 3 minor pieces of your opponents it may be a good deal for you (especially with rooks present on the board). 9. Exchanging a Queen for two Rooks is also something to think about. In many cases two Rooks can be stronger than the Queen. 1. King is a very special piece since ‘losing’ the King means losing the game. 2. If King is in danger (via check) a player is not allowed to ignore it, he must remove the check first. 3. Even though King is the most valuable piece it’s relative value in points is 3.5, which makes him a little stronger than Knight and Bishop but weaker than a Rook. 4. Keeping a King safe should be a high priority of any chess player. It can be achieved by ‘castling’. 5. 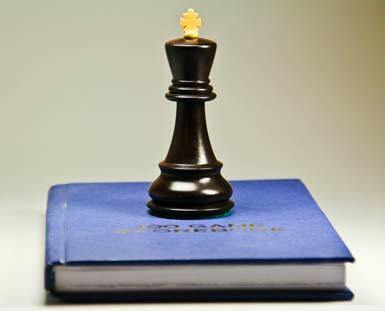 Even though a King is the most valuable piece, it is a powerful weapon when it comes to the endgame. 6. Activating the King early in the endgame can be a decisive factor between winning and losing. If you have a chance getting King into the game without exposing him into danger, go for it. Thank you learned some and put into words well what I knew. Great!! The Knight is the only piece that can attack the Queen without being attacked in return. Also, the Knight is the only piece that can deliver a “smothered mate” – a checkmate where the king is attacked by an enemy Knight and cannot move out of check because all of the adjacent squares to the King are occupied by pieces. Bishops are great for “skewering” rooks since rooks are vulnerable to attack from diagonals. 13) On the first move of the pawn, the player has 2 options, moving the pawn up one square, or 2 squares at once. Every piece has a weakspot that can be exploited, and you can use other pieces to cover these weak spots. Just a minor thing. Please, no flack. This is not to demean, but to correct. The term is “passed pawn”, not “past”. Unfortunately, hardly anyone I know knows what it is or how it works. Much to my disadvantage! The pawn is the only piece that can capture en-passant.